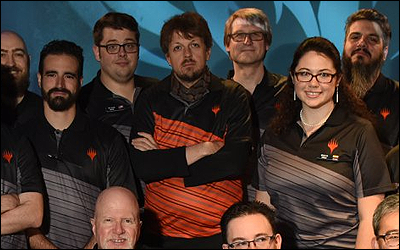 In general, Tournament Organizers decide what their judges and other event staff should wear. Some may require judges to wear the official black judge shirt, while others have their own staff shirts. 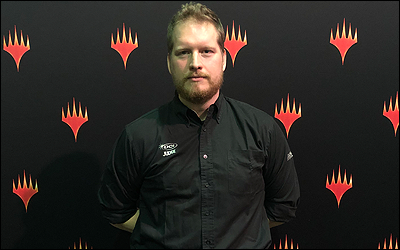 Tournament Organizers may have additional expectations regarding accessories and grooming in general. The official black judge shirt is worn at MagicFests and other Competitive events. 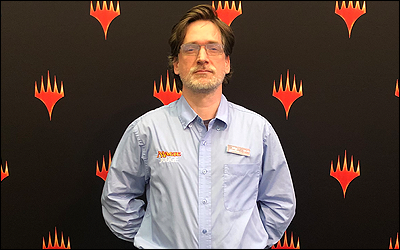 The shirt can also be worn when representing the Judge Program outside tournaments, for example on instructional videos or at conventions and similar events. The Judge Program recommends following these guidelines when wearing the black shirt. 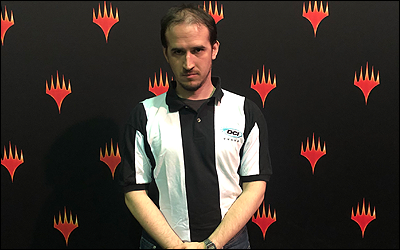 These general guidelines also apply when wearing other types of judge shirts (Pro Tour shirts, Tournament Organizer’s own staff shirts). If a Tournament Organizer’s dress code contradicts these guidelines, the TO’s dress code takes precedence. The shirt should be worn with black pants (with belt) or skirt/kilt, and predominantly black shoes. The shirt should be clean and wrinkle-free. The men’s cut shirt should be worn tucked in. The women’s cut shirt can be worn untucked. Excessive amounts of badges, pins, extra name tags etc. are not recommended. Visible undershirts and accessories (scarves, etc) should be black or other “neutral” color. Water bottles can be carried clipped to the belt, but judges should be careful with them when moving through narrow aisles to avoid causing discomfort to players. Consider removing or covering your judge shirt when you are on a break, as it may confuse players who are looking for a judge to help them. Do not wear the official shirt if you are also playing in the event you are judging. Never wear the official Magic judge shirt while officiating a tournament for a different game. 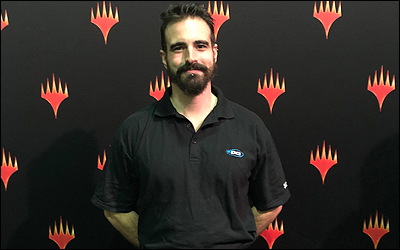 If you do not have an official shirt but need something to wear to a Competitive event where everyone else is wearing official shirts, a plain black dress shirt is a good option. Regional judge shirts (often featuring the Judge logo and the Region name, may feature colors other than black) are also an option if approved by the tournament organizer. 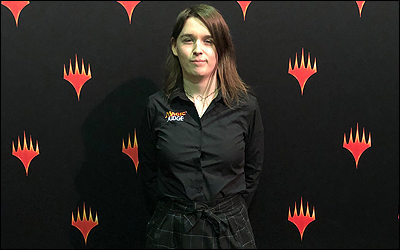 Wizards of the Coast provides grey and black (orange and black for Head Judges and Appeal Judges) shirts for the judge staff. These shirts should not be worn at other events. 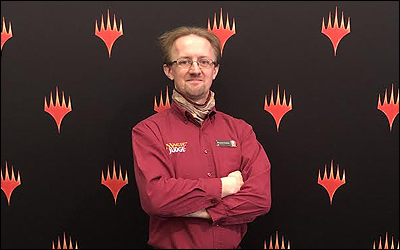 Head Judges and Appeal Judges at Grand Prix events wear a burgundy shirt. It should not be worn at other events. Regional Coordinators wear a blue shirt when performing official Regional Coordinator duties at tournaments or conferences. 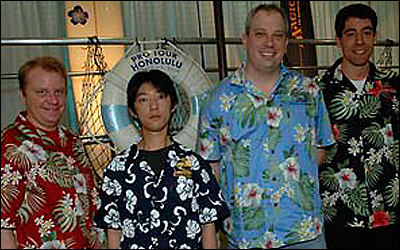 Over the years, various different types of judge shirts have been used at Grand Prix and Pro Tour events. Most of these should no longer be worn as part of a judge uniform. Identical to the current shirt, except that it features the DCI logo instead of the Magic Judge logo. This version of the shirt can be worn at local events. The black and white striped polo was the Judge Program’s official uniform for a decade. A red and black version was used by Head Judges. 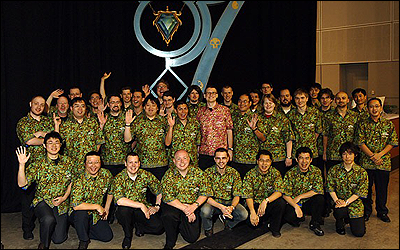 Black polo shirts with the DCI or Magic logo were used at Grand Prix events in some parts of the world. Purple T-shirts with the word “judge” in yellow were sometimes given to trainee judges at Grand Prix events. Special shirts were made for the staff of certain Pro Tours.